PAINTERS MILL MUSIC FAIR Owings Mills, MD. LIBERACE, was born Wladziu Valentino Liberace on May 16, 1919, in Wisconsin. He was the son of working class immigrants. He came from a musical family and was a child prodigy. He learned to play the piano by ear at the age of four, earned a scholarship at the Wisconsin College of Music at the age of seven, and debuted as a concert soloist when he was eleven. 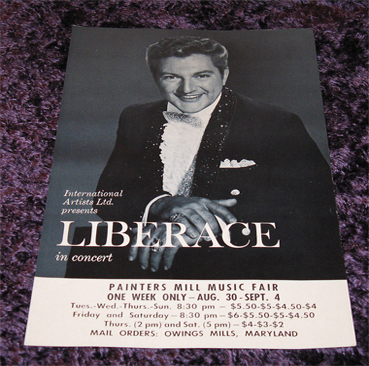 Instead of following the path of a classical musician, Liberace chose to be a showman. He moved to New York in 1940, and scrounged a living playing the piano in movie theaters and nightclubs using the stage name “Walter Busterkeys”. He gained success with an act that peppered his mix of classical music and contemporary tunes with one-line jokes. His big career breakthrough came in 1951, with the TV premiere of The Liberace Show that aired first in Los Angeles and then nationally. He honed his unique blend of classical training and over-the-top showmanship—leaving the stage at least a half dozen times during performances to change into new outfits—donning new jackets, coats, capes, robes, crowns and jewels. He was one of a kind. From the 1950s to the 1970s, he was the highest paid entertainer in the world. He embraced a lifestyle of flamboyant excess both on and off the stage earning the title, “Mr. Showmanship”. His largely female audience was devoted and they couldn’t get enough of his piano prowess and cherubic charms. At the pinnacle of his career in the 1980s, he sold out 56 straight shows at Radio City Music Hall in New York setting a box office record. He achieved six gold albums, received two Emmy Awards, and has two stars on the Hollywood Walk of Fame. 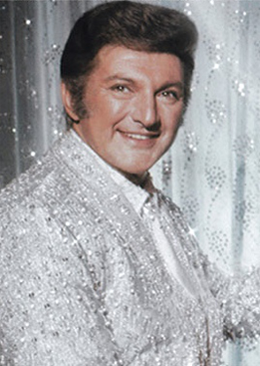 Liberace was a bona fide superstar—one of the first. He gave with all his heart. He loved his audiences and they loved him. 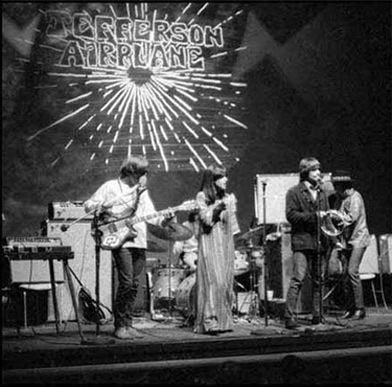 JEFFERSON AIRPLANE originated in 1965, in San Francisco, California, and was the first San Francisco band to achieve international mainstream success. Their album, Surrealistic Pillow, was “the” definitive album during the 1967, “ Summer of Love”, defining the rock aesthetic of the 60s. The two hit singles from the album—White Rabbit and Somebody to Love—have become classic rock standards. 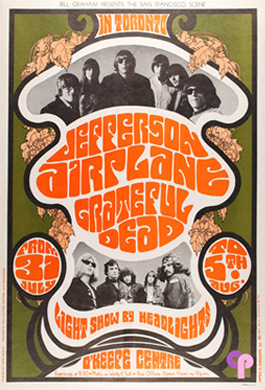 The band toured extensively and played at all three of the major 60s American rock festivals—Monterey (1967), Woodstock (1969) and Altamont (1969)—as well as headlining the first Isle of Wight Festival (1968). They released seven studio albums—five of which went gold—two live LPs, and had eight chart singles. JACK CASADY and SPENCER DRYDEN. the most unique, influential and controversial rock band of the 60s. 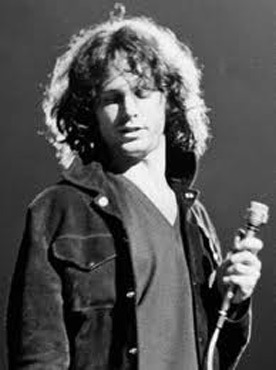 Led by the charismatic vocalist-songwriter, Jim Morrison, The Doors spoke to the rebellious youth of the era with a powerful fusion of music and poetry. Jim was a poet and his gifted lyrics inspired a generation. His notoriously erratic concert behavior unfortunately did not go unnoticed by law enforcement officials and Jim became the first rock star to be arrested, on stage, during a concert in 1967, at the New Haven Arena, in Connecticut. Later that year, the band achieved national recognition when their single—Light My Fire—spent three weeks in the number one spot on the Billboard chart. That song plus other singles—People are Strange, Touch Me, Hello I Love You—and the classic album cuts The End, When the Music’s Over, LA Woman, and Break On Through (to the other side) drove record sales in excess of one-hundred million worldwide. 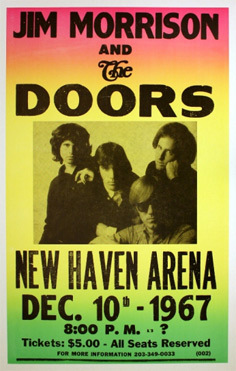 The success of The Doors however did not quiet Jim’s demons. The band disbanded in 1971, and Jim moved to Paris to write poetry. The CHAMBERS BROTHERS were four siblings who grew up in a sharecropping family in one of the poorest parts of Mississippi. In their youth, they honed their skills as singers in a Baptist church choir and were the real deal when it came to Gospel music. houses, like the Ash Grove in Los Angeles, where they came in contact with blues and folk artist like Ramblin’ Jack Elliot and the Reverend Gary Davis. In 1965, they added drummer Brian Keenan pushing their music closer to rock ‘n’ roll. They began integrating American blues, gospel, rock and contemporary psychedelia, shattering racial and musical divides and attracted attention at the Newport Folk Festival, further enhancing their growing reputation. 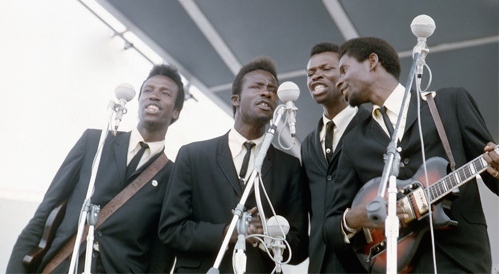 Chambers Brothers released their debut LP, People Get Ready, in the mid 60s and scored a major hit in 1968, with a song written my Joe and Willie Chambers—Time Has Come Today. DAVID “Dawg” GRISMAN is a brilliant mandolin player and a champion of acoustic music. He is a composer, bandleader and producer, and plays what he calls “Dawg (the nickname given to him by Jerry Garcia) Music”—a mixture of bluegrass and jazz, influenced by Stephane Grappelli and Djanjo Reinhardt. He discovered the mandolin as a teenager and the rest is history. In 1963, Grisman made his first recording with the Even Dozen Jug Band and went on to play with Red Allen in the Kentuckians—an authentic bluegrass band. In 1967, he formed the American psychedelic rock group Earth Opera with Peter Rowan. The band worked together until 1969, when the members all branched off to pursue their own musical interests. 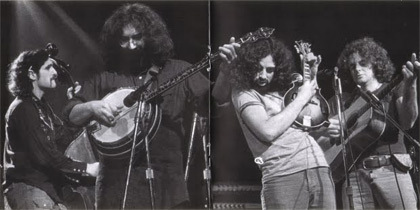 In 1973, Grisman joined Jerry Garcia, Peter Rowan, Vassar Clements, and John Kahn to form the bluegrass group Old and in the Way. 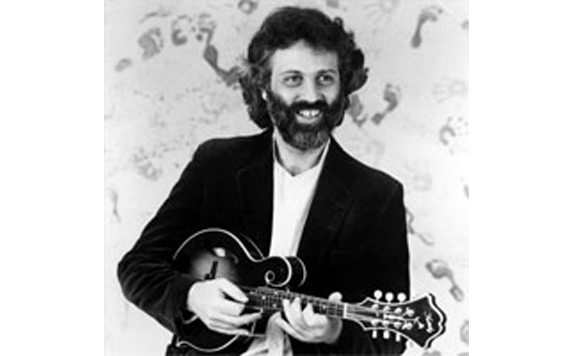 In 1975, David started his own band—The David Grisman Quintet (DGQ)—now The David Grisman Sextet (DGS) who released their first album in 1977. As well as performing with the Quintet—Grisman also plays with his bluegrass group, The David Grisman Bluegrass Experience (DGBX) with his son, bassist Samson Grisman, and occasionally tours with his old jug band pal, John Sebastian. In the early 1990s David started his own record label, Acoustic Disc, and has released over 75 CDs including Garcia/Grisman—an acoustic album he played on with Jerry— one of half dozen or more Acoustic Disc CDs on which the two corroborated. Grisman continues to amaze, inspire and promote acoustic music. CHRIS AND LORIN ROWAN are two of three musically talented brothers. All three were raised near Boston where their older brother Peter gained renown as a member of a group called Earth Opera. In the early 70s, Chris and Lorin—singer-songwriters and guitarists—moved to northern California to advance their musical careers. by critics and fans but problems at Columbia records stalled their careers. 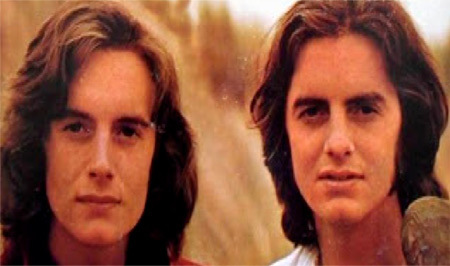 In 1975, they were joined by their more famous brother Peter and released three albums as a trio producing such hits as Midnight Moonlight and Thunder On The Mountain. They shifted gears once again when Peter left to pursue various other musical interests. 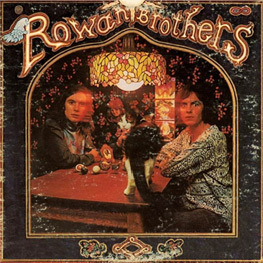 The Rowan Brothers—Chris and Lorin—continue to play as a duo, in various other configurations, and with their brother Peter joining them from time to time. 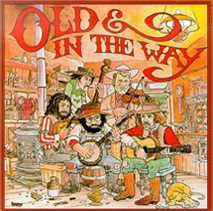 OLD AND IN THE WAY was a bluegrass super-group in the 70s. 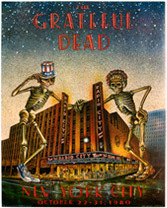 The band was comprised of Jerry Garcia, David Grisman, Peter Rowan, Vassar Clements, and John Kahn. They performed traditional tunes such as Pig In A Pen, and bluegrass-flavored versions of the Rolling Stones’ Wild Horses, and Peter Rowan’s Panama Red. the best selling bluegrass albums of all time. 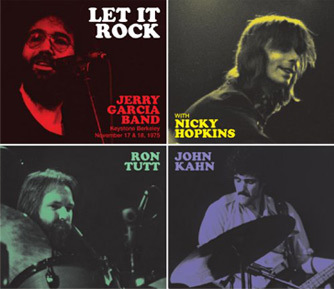 The group, without the late Jerry Garcia and John Kahn, released a reunion album in 2002, called Old and in the Gray. The JERRY GARCIA BAND was a San Francisco Bay Area rock band led by Jerry Garcia of the Grateful Dead. 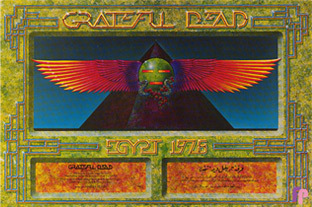 Garcia founded the band in 1975. It remained one of his most important side-projects until his death in 1995. The band recorded and toured throughout its twenty-year existence. 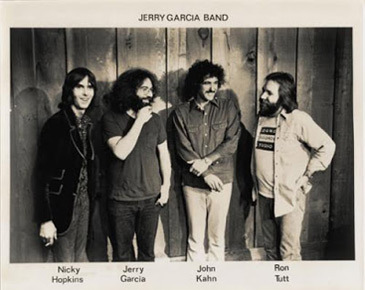 The name of Jerry’s side bands changed a number of times over the years as did the members, but Jerry was always a part of the band as was John Kahn, who also served as the band’s loosely defined musical director. The GRATEFUL DEAD’s first show as the Grateful Dead was in 1965, in San Jose, California, at one of Ken Kesey’s Acid Tests. In the 60s and 70s when the counterculture was screaming for change, the Grateful Dead encouraged peace, love, and flower power rather than violent protesting and a sense of community surrounded the band and prevailed at their concerts. The music of the world’s greatest jam band morphed from the long improvisational pieces, in early days in the Haight, to the beautifully crafted melodic tunes of Workingman’s Dead and American Beauty—epitomized by the classics, Truckin’, Friend of the Devil and Uncle John’s Band. 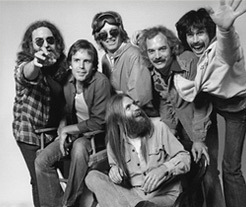 The Grateful Dead were arguably the greatest touring band of all time in terms of longevity, devoted fan base and number of live performances. Without Jerry, there was no Grateful Dead. 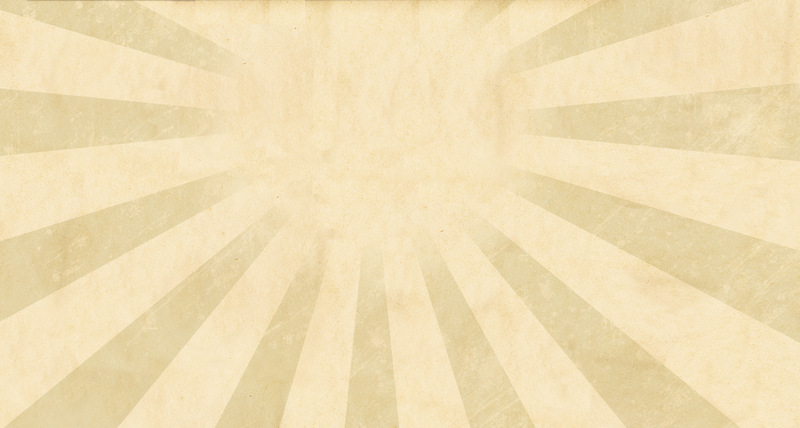 The band members went their separate ways, and a unique chapter in American music closed.